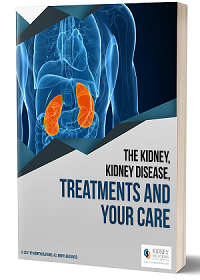 The main purpose of the kidneys is to separate urea, mineral salts, toxins, and other waste products from the blood. In addition, the kidneys also conserve water, salts, and electrolytes and produce the signals for the body to make blood common mistakes. Simply put, the kidneys filter the bloodstream in order to get all of the toxins out of your body, and also regulate body fluids and blood content. The waste and toxins removed by the kidneys pass out of the body eventually in the urine. What are the test for kidney Disease ? How Do I Know If i Have kidney Disease ? Kidney disease can sometimes progress to an advanced and concerning stage with only mild symptoms or it may develop without you developing significant symptoms. If your kidney disease progresses, you will eventually develop symptoms and signs that include tiredness, loss of appetite, difficulty thinking, difficulty sleeping, breathing problems, muscle cramps, swelling of legs or eyes and dry itchy skin. You are at increased risk for kidney disease if you are black, have high blood pressure, diabetes, a family member with kidney disease or are older. What Does it Mean To Have Kidney Failure ? What medications or drugs are required for patients with kidney disease or kidney failure? Patients with kidney disease or failure may need to be on medications for controlling their blood pressure and on medicine like iron and erythropoietin for increasing their blood levels because of low blood levels caused by kidney disease. To avoid the need for blood transfusions, your kidney doctors will prescribe erythropoietin (also called EPO) and iron to help build up your blood levels. Patients with kidney disease also develop problems with their bones that require special treatments including regular dialysis treatments if they choose dialysis over transplantation. When your doctor determines that you will need dialysis, you should ask questions regarding when such treatments will start, what schedule you will be on, how long you may need to be on dialysis and what types of dialysis options are available to you. You may be on dialysis for a short time, a long time or for the rest of your life if you can not get a kidney transplant. it might take some time before your doctor knows if you will be on dialysis long term or not. You should inform your close family and friends if they do not know already as you will need their support to be successful on dialysis. You may also need to inform your employer so that arrangements for time off and any financial support can be arranged. In order to be successful on dialysis you will need what is called an access. For hemodialysis, access can be in the form of a catheter placed in the neck, chest, arm, forearm or upper thigh. A more permanent, safer and more reliable access is in the form of a fistula or graft. A fistula is made by a doctor during a surgical operation and is made by connecting your own vein to your own artery. A graft is a type of access also made by a doctor during a surgical operation but in this case, an artificial tubing is placed usually in your forearm or arm. For peritoneal dialysis, the access is in the form of a tubing placed in your belly through which the dialysis will be performed. What lifestyle changes are necessary with patients with kidney disease or kidney failure? In addition to the changes in your diet that are necessary discussed above, you will continue to need to take medications for your kidney failure and any other medical problems you may have. These medications should also include vitamins. Patients with kidney failure may loose their hair. Dialysis does not cause hair loss. Hair loss is usually caused by kidney failure. This will get better over time if you get enough dialysis but you may need a hair stylist to help you look good. You may notice that you have dry and itchy skin and you need to take warm (not hot, not cold) baths and apply moisturizing lotions to your skin to reduce those symptoms. Time management can be an issue. If your loved one chooses in-center hemodialysis, being at the center three days or nights a week can cause difficulties with time management. Somehow, you will still need to fit in other life activities that can’t stop, like buying groceries, cooking and cleaning, and paying the bills. It can take a few weeks to figure out a schedule that works for your family. Meal preparation will need to be adjusted to fit renal diet needs. The dietitian may recommend limits on potassium, phosphorus, sodium (salt), and fluids. Figuring out what to eat can be a big challenge. Fixing two different meals can be exhausting but may not be necessary if everyone can be flexible. Some easy ideas to consider include using more spices and herbs in place of salt, and having “build your own” meals where each family member can add ingredients to their own plate. Family roles and finances may change. Dialysis is not a cheap service but is the only option if you can not get a transplant. Most dialysis patients need treatment for anemia, a shortage of oxygen-carrying red blood cells that can make them feel tired and weak. If your loved one can’t do chores he or she used to do, someone else will need to take them on or trade chores. If your loved one was the main wage earner and can’t work, your family will need to figure a way to live on less money, or you may need to go to work or increase your hours if you work part time. How can I help patients with kidney disease? Sponsor part or all of a kidney disease screening event. Many activities and items are involved in providing effective kidney disease screening ranging from advertising the event to the public so people at risk can come for the screening, blood and urine testing, blood pressure and weight checks etc. These events have helped many patients detect disease before it becomes advanced and very expensive to treat. Fund safe anemia care by funding safe screening of blood supplies and treatment with reliable medications such as supplemental iron or erythropoietin. Many transplant patients can’t sustain purchase of their medication because of costs. This puts their transplanted kidney at increased risk of rejection and loss. KidneySolutions through its pharmacy partners can secure these medications at a discount to help patients. 100% of the value of the contribution for such support is applied to the patient medication needs. Sponsor an entire dialysis chair. All patients identified to be in need of support for dialysis care will be provided care at no cost to them by the support provided in funding a dialysis chair. Support discounted lab testing or dialysis treatment for patients. Very strict criteria are applied in selection of patients in need. Only those most in need are given this support. Individuals and organizations interested in supporting patients for medication, lab testing or other aspects of their care should contact us using the contact us for details on how to help. You will be provided details on how your support will be applied and provided to patients. Kidney disease is also called renal disease. This is a condition where the functions of the kidney are lost. This can happen either suddenly or very slowly over time depending on the cause. Kidney disease is often irreversible and worsens over time but at times, kidney disease can be reversible or remain stable for long periods of time. What are the causes of Kidney Disease ? The most common causes of kidney disease and kidney failure in African settings are diabetes, hypertension, toxins from herbal medicines or expired medications or infectious diseases ranging from bacteria to viruses such as HIV, Hepatitis B and Hepatitis C. Some kidney diseases may be inherited and run in families. One of the most common of these inherited kidney diseases is polycystic kidney disease. How Do I Prevent Progression of Kidney Disease ? Is Kidney Disease Or Kidney Failure Irreversible ? Kidney Transplantation is a procedure where a kidney from another person is put into you to restore your kidney function. Kidney transplantation has been successfully performed around the world for over 50 years. You will need testing and treatments to determine if you are a candidate for kidney transplantation. If you are then considered a candidate for transplant, you will need a kidney donor. This donation can be from a person who has recently died or from a living person that does not have to be related to you. In Nigeria at the moment, donation is only possible from a living donor. The potential donor will have to be tested to ensure they are free of kidney or other disease and can withstand the surgery for donation. After successful transplant surgery, you will need to be on powerful medication to prevent rejection of the donated kidney and will need to frequently follow up with your kidney transplant doctors. To learn more about kidney transplantation in Nigeria, visit our blog post talking about kidney transplantation. When you initially start dialysis, you will feel ill, tired, with a poor appetite and depressed. You may also notice other symptoms of kidney disease or kidney failure mentioned above like tiredness, vomitting, loss of apetite, leg or eye swelling, difficulty breathing, itching of the skin and maybe chest pain. You will need to visit the doctor very often at least initially. Over time and if you get enough dialysis, you will begin to feel better and many patients can return to their life before dialysis if they get enough dialysis. Many patients that get enough dialysis and follow all other instructions from their doctor and dialysis nurse will be able to return to work and lead productive lives. Getting enough dialysis is very important and the truth is that once or twice a week dialysis is often not enough to truly return you to a high level of function. To get the best out of dialysis, the ideal number of treatments is 3 times a week. You will be prescribed some medications as mentioned above to help control your blood pressure and improve your blood levels. You will need to have frequent lab tests to determine if you are getting enough dialysis and sometimes you may need to receive a blood transfusion. Try not to miss dialysis appointments, take the medications prescribed and follow other instructions your healthcare team will advice you to follow. There will be good days and some bad days on dialysis. Anytime you are having a bad day, do not hesitate to contact your doctor or dialysis nurse and tell them how you feel so they can figure out how best to help you. What kinds of foods can i eat as a patient with kidney disease? As long as you continue to have severe kidney disease or need dialysis, you will need to be on a carefully considered diet. In addition to limiting the amount of water and other fluids you drink every day, you will need to decrease the amount of food you take that is high in potassium, sodium (salt) or phosphorus. Ask your dialysis nurse or dietitian about foods that are high in such substances so you can reduce them and avoid problems that result from taking too much of these kinds of foods. High potassium levels can be very dangerous by causing muscle weakness or causing your heart to stop. High phosphorus levels can also be very dangerous because they will weaken your bones, cause heart problems, skin ulcers and joint problems. Too much fluid or water will make it difficult to breath and will overwork your heart and possibly make it fail. Too much salt will raise your blood pressure, increase your risk for brain stroke or heart failure and also contribute to difficulty breathing. Getting enough dialysis and being on a diet low in potassium, salt and phosphorus will help you avoid these problems. You can still eat healthy balanced meals even if you are on dialysis but you need to make these changes to remain healthy for the long term. This special diet unfortunately will not make your kidney function improve but it will help you live more comfortably and more healthy.